Stemming from the Innovate UK funded Selective Laser Melting for Micro Turbines (SLaMMiT) project, in collaboration with Delta Motorsport, a requirement was received to design a high-temperature heat exchanger to be used in conjunction with a micro gas turbine system. The integration of traditionally multiple parts into one AM component resulted in the creation of an annular radial flow recuperator design, manufactured in one piece from the Nickel alloy, Inconel 625. Computational Fluid Dynamics (CFD) was used heavily in order to create complex flow paths promoting heat transfer whilst managing the pressure drop within acceptable limits. 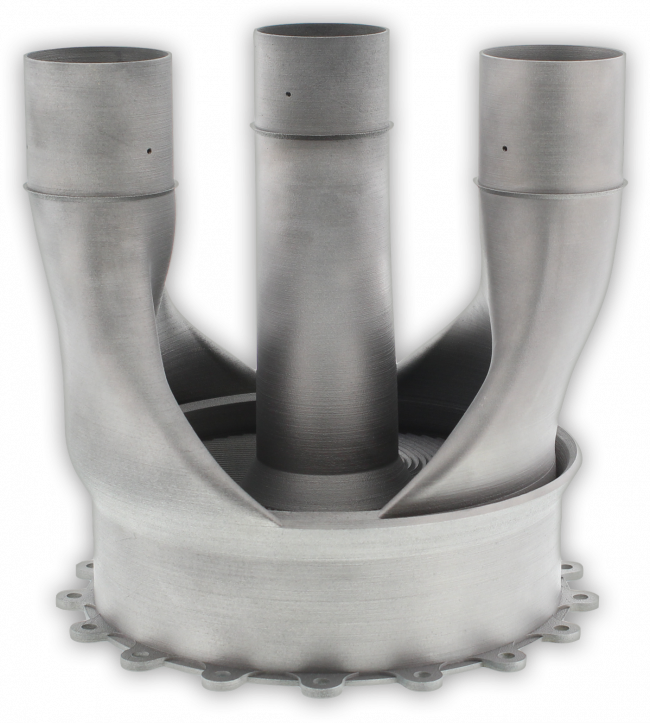 This annular radial flow recuperator features a similar performance to the cuboid recuperator but is an enabler to an annular architecture, requiring little additional ducting to facilitate substantially smaller systems packaging and reduce weight. In fact, the overall package size of the 17kW micro gas turbine was reduced from 55 litres to less than 20 litres (or from the size of an aircraft carry-on bag to a football). The ducts featured were developed to allow the timescales of a scheduled component level physical validation test to be met. Although shape optimised for minimum pressure drop they are not present on the version of the recuperator for integration with the engine assembly. A particularly interesting feature of the annular recuperator is the use of parametric design. The number of ducts, details of secondary heat transfer surfaces, and height of the recuperator were all determined from a spreadsheet input. 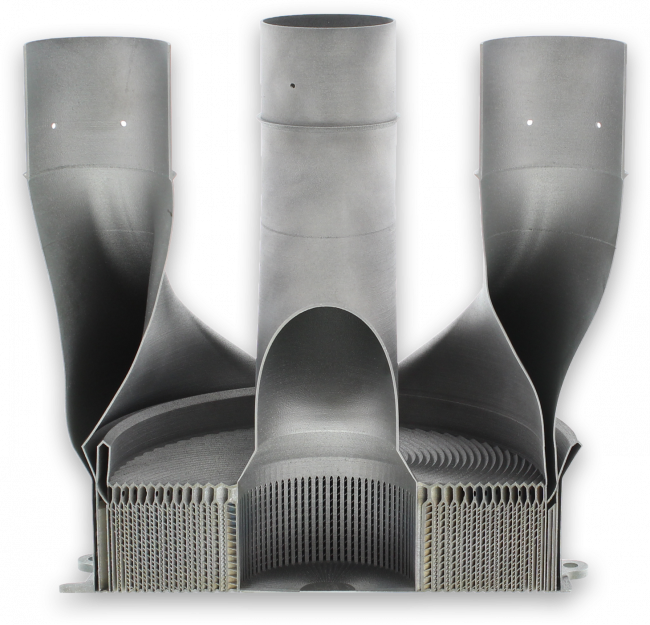 The benefit of such an approach is the facility for rapid redesign in the event of a changing customer requirement or the realisation of a family of heat exchangers for different power requirements. This project has led on to subsequent work with a number of customers. One such customer was Mitsubishi Turbo Charger Europe, who approached HiETA to develop an annular form recuperator for their Range+ Micro Gas Turbine range extender for electric vehicles. From receipt of requirements to delivery of receipt of hardware took less than four months and was a key enabler for Mitsubishi to launch the Range+ product at the 2017 Frankfurt IAA motor show.